Start with a small circle for the head, and then add the facial guidelines. 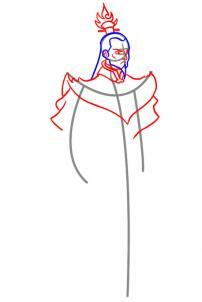 You will then draw out the wire framing for the body, and the clothes. 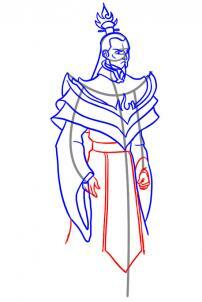 You can start using the face guidelines you drew in step one, to begin sketching out the shape of Ozai's face, and then his combed back hairstyle. 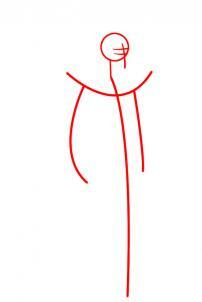 Be sure to make an outline for the ear, and chin. 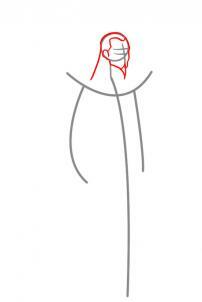 Draw the very stiff ponytail that is on top of his head, and also draw in the band that holds it in place. Next, draw the face by sketching out the eyes first, and then the nose, mouth, and eyebrows. Add some definition to the cheeks, and ear, and then begin drawing out his very powerful looking clothes starting with the collar. 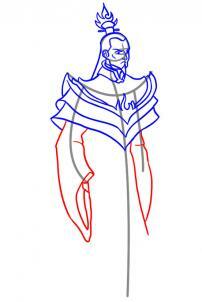 Once that is done you can draw the shoulder design, and then the sleeves. 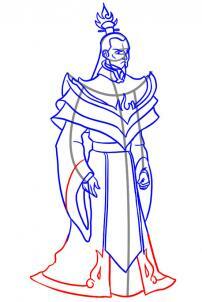 Continue to make layers of cloth for his cloak and then add the official Firenation design in the middle of the top flap. 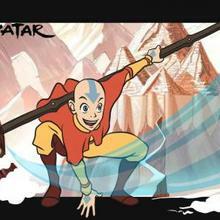 Now you can draw the long sleeves like you see here. Take your time when you do this because it can be tricky. Once the long sleeves are drawn out, you can than move to the next step. 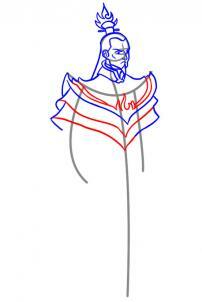 Here you will draw the rest of the cloaks design which is the torso, and waist. Next draw a sash, and the lip that hangs in front. 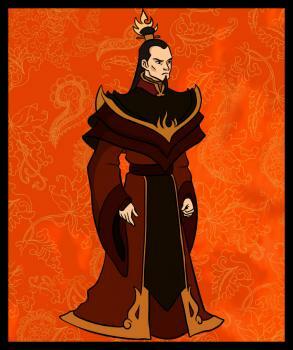 Sketch out Ozai's hands, and then move to step seven. 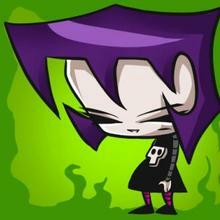 This is your last drawing step. All you need to do now is draw the rest of the cloak, and cap off the ends with boarders that form into flames like you see here. Also, draw the stitch line for the sleeve too. You are now ready to erase the lines and shapes that you drew in step one. 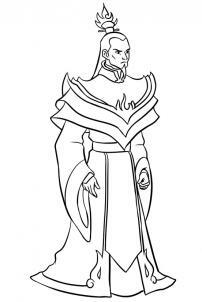 Now that you are finally done with this drawing, you can color him in, and make him a complete addition to your Last Airbender character collection. Great work guys!